The Special Olympics is the world's largest sports organisation for children and adults with intellectual disabilities, providing year-round training and competitions to 5 million athletes and Unified Sports partners in 172 countries. 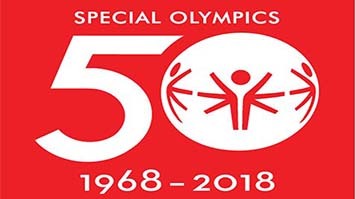 This event, which is intended to celebrate the 50th anniversary of the movement, will include presentations from David Evangelista, President and Managing Director of Special Olympics Europe Eurasia and Michelle Carney, CEO Special Olympics Great Britain, as well as Special Olympics athletes who will be speaking about what it is like to be involved in the movement and how this has affected their lives. Colleagues from LSBU will speak about opportunities for collaboration and engagement with SO by the University and by students and staff. Come along and join in to learn more about the fantastic work of the Special Olympics movement and to celebrate its achievements; to better understand the ways in which sport and activity can support and improve the lives of people with intellectual disabilities; to engage with and promote the civic and sporting endeavours of London South Bank University. This will be a wonderful opportunity to meet and engage with individuals from a unique and important international organisation.